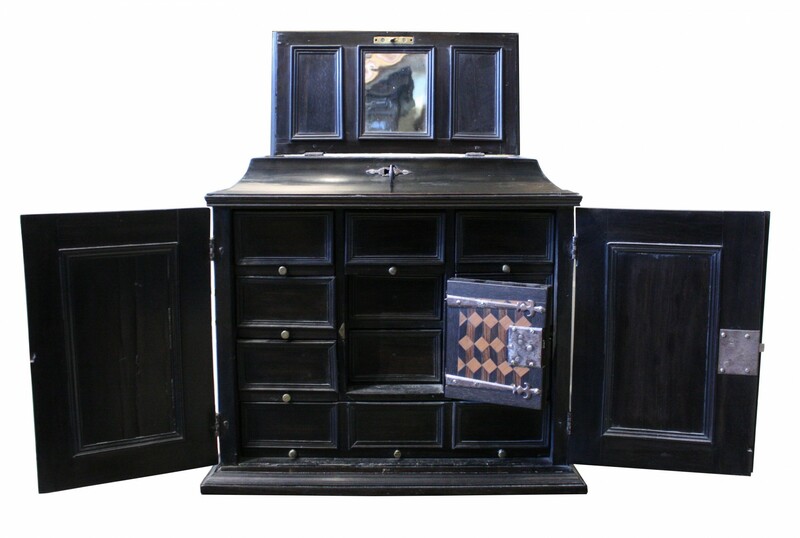 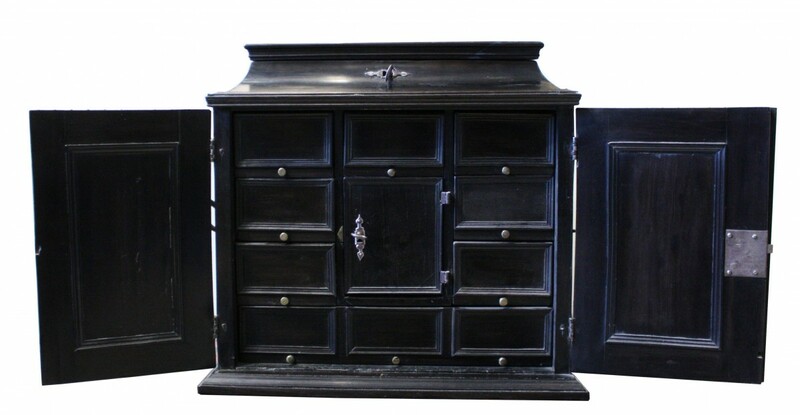 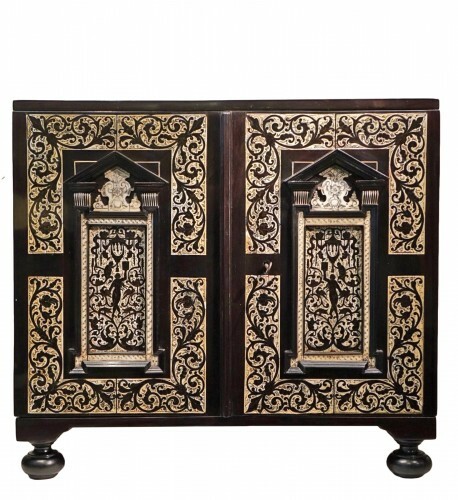 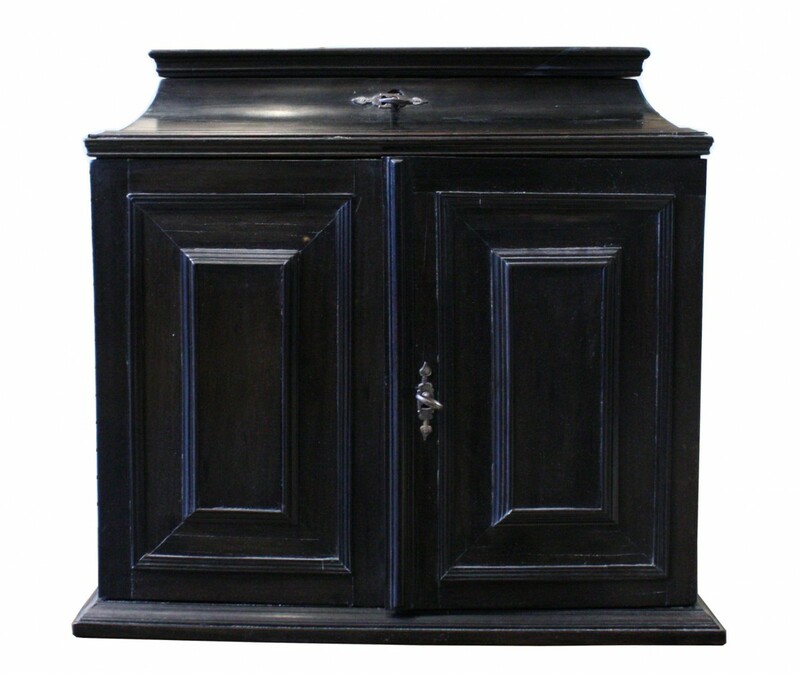 This sober and elegant ebony-veneered cabinet opens with two doors and a lid. 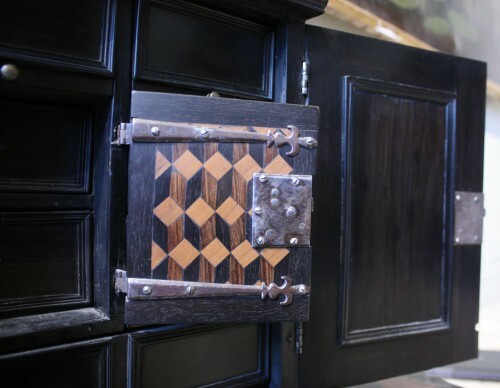 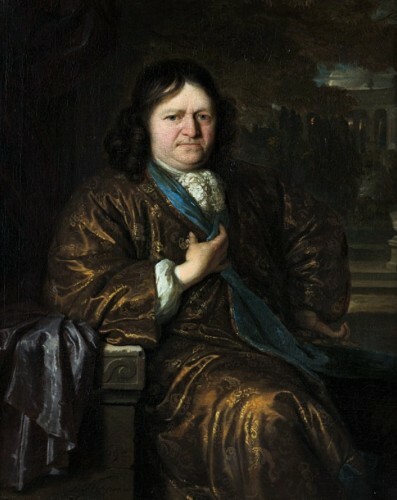 He discovers in front seven small drawers and a large drawer in its lower part. A locked door reveals two extra drawers. 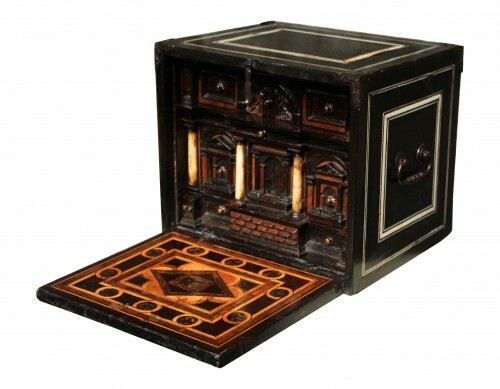 The lid on the top hides a secret compartment and has a mirror. The sides are equipped with handles to facilitate transportation. 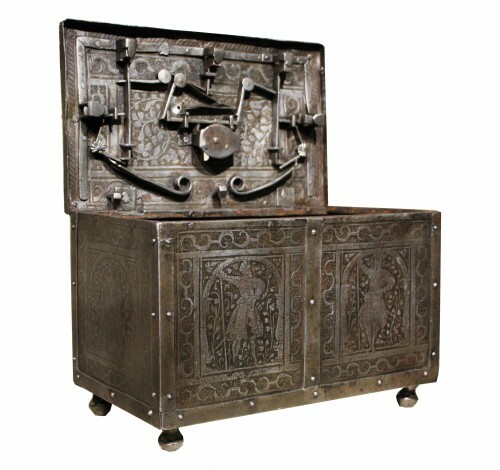 Dimensions: h. 40 cm, l. 44 cm, p. 23 cm. 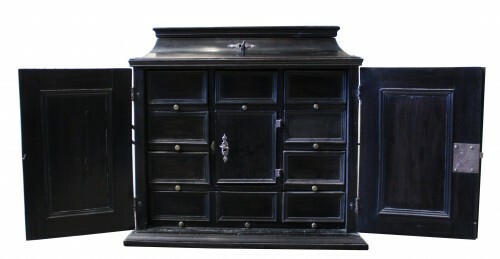 Very good condition, original ironwork. 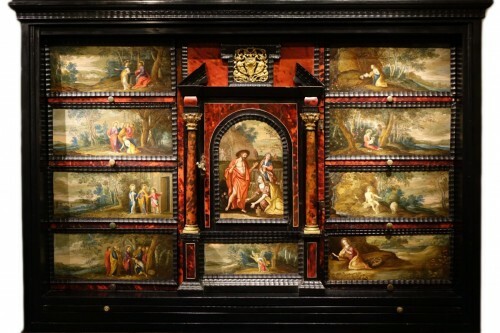 Furniture particularly popular in 17th century, a cabinet was originally intended to accommodate in its many drawers different precious objects: medals, jewelery, coins, objects of art and curiosity as well as important papers and documents. 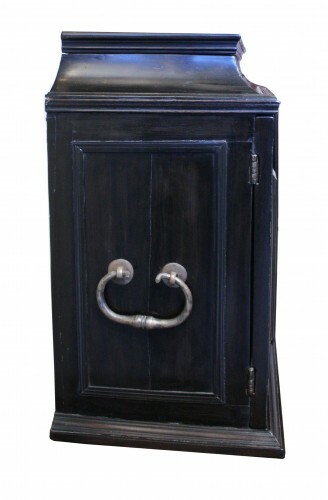 Easily transportable and lockable, it was an essential piece of furniture for traveling.